The Riviera Maya is a stretch of Caribbean coastline on Mexico’s northeastern Yucatán Peninsula. The Riviera Maya is a tourism and resort district in Mexico. It straddles the coastal Highway 307 along the Caribbean coastline of the state of Quintana Roo, located on the eastern portion of the Yucatán Peninsula. 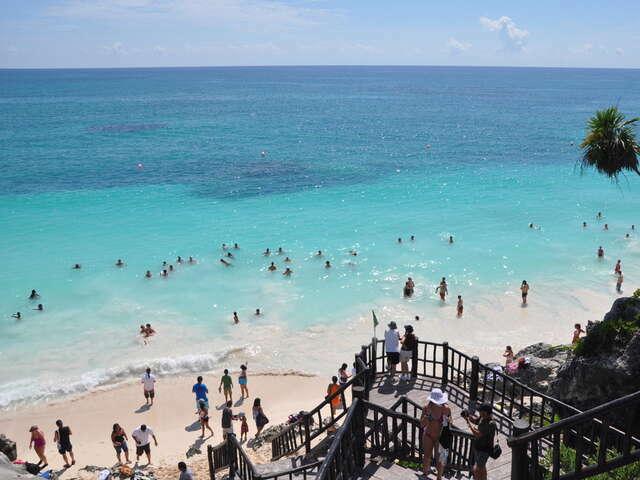 Historically started at the city of Playa del Carmen and ended at the village of Tulum, the Riviera Maya was originally called the "Cancun–Tulum corridor", but in 1999 it was renamed as the Riviera Maya with the aid of Lic. A major attraction throughout the Riviera Maya are coastal and reef aquatic activities dependent on the coastal water and the Mesoamerican Barrier Reef System (also known as the Belize Barrier Reef) which begins near Cancun and continues along the whole length of the Riviera Maya continuing southward to Guatemala. This barrier reef system is the second longest in the world. Activities at the most visited locations include jet-skiing, snorkeling, scuba diving, swimming in cenotes, swimming with dolphins, zip-lining, horse riding, sailing, and guided jungle tours. Huatulco Mexico - Why all the Fuss? Until a couple of years ago, Huatulco was really not on the tourism radar but, boy has that changed!